Frances Tiafoe, one of the rising stars in American men’s tennis, will join the field at next week’s 2019 New York Open. The 21-year-old recently made a statement showing at the 2019 Australian Open last month, falling in the quarterfinals to eventual runner-up and second-ranked player in the world, Rafael Nadal. Tiafoe, ranked No. 30 in the Emirates ATP world rankings, will be searching for his second career title. 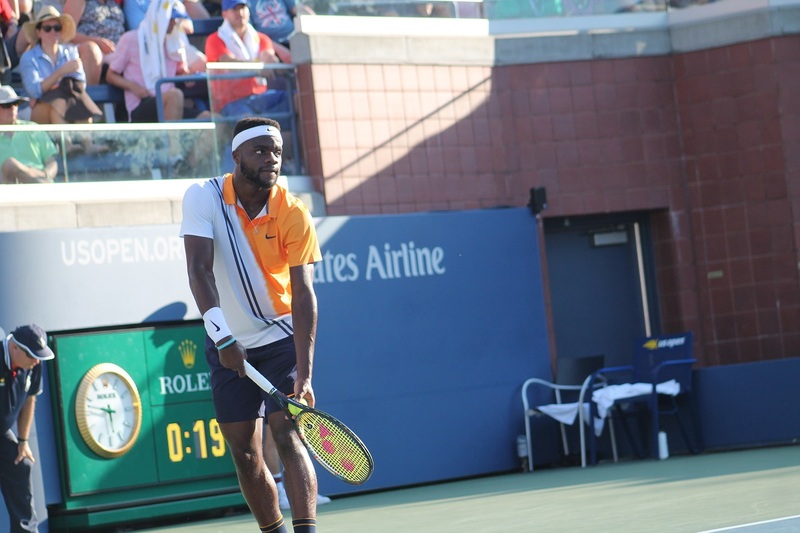 The addition of Tiafoe to the singles draw gives the event – which begins on Sunday, Feb. 10 – a loaded field of top American talent, with the top-three men’s players from the United States all descending upon the greater New York area for the ATP 250 Series event. Joining Tiafoe in the singles draw, will be top-ranked American John Isner (No. 9 overall) and third-ranked Steve Johnson (No. 35 overall). Additionally, the fifth-ranked American, Sam Querrey (No. 48 overall) will be competing. Unfortunately, world No. 5 – and defending New York Open champion – Kevin Anderson will be unable to return to Long Island to defend his title. Anderson had to withdraw from the event, citing an elbow injury suffered during the Australian Open. Additionally, 19-year-old breakout star, Alex de Minaur, was also forced to pull out of next week citing injury. This year’s New York Open will kick off in a big way on Feb. 9 with Opening Night, when a pair of International Tennis Hall of Fame members – and former world No. 1s – will face off in an exhibition match at NYCB LIVE: Andy Roddick and Jim Courier. The two American stars combined for five major titles, 55 ATP Tour singles titles, and nearly $35 million in career earnings during their careers. Additionally, as part of the Opening Night festivities, the “Taste of New York Open” event will take place prior to the Roddick-Courier match. The high-end event will feature the entire player field and feature a one-of-a-kind menu created by world-renowned chef, David Burke – a two-time James Beard Foundation winner as “Best Chef in New York” – which will be co-hosted by Roddick. Tickets for the 2019 New York Open are still on sale and can be purchased via either newyorkopen.com/tickets or nycblive.com/events, at the Nassau Veterans Memorial Coliseum box office, or by calling 800-745-3000.